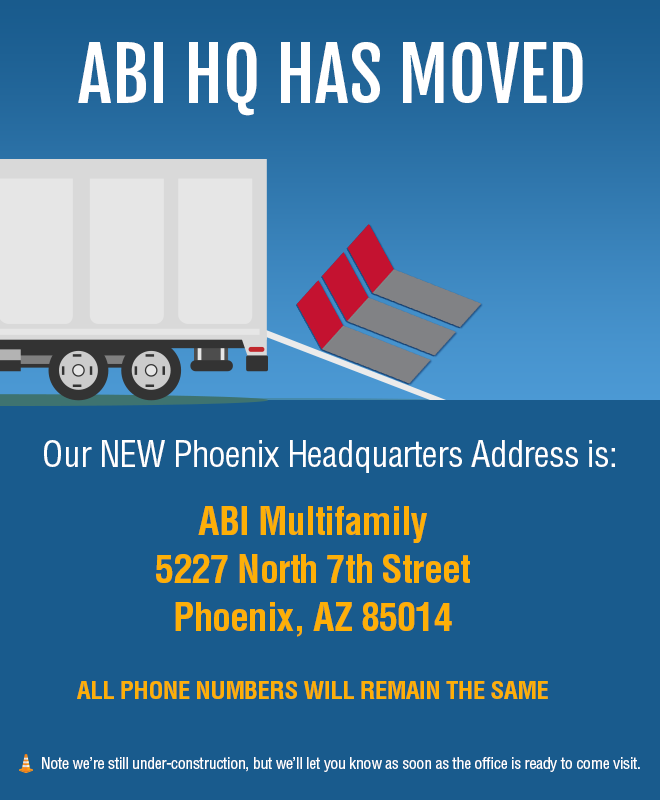 Phoenix, AZ, January 30, 2018 – ABI Multifamily, the Western US's leading multifamily brokerage and advisory services firm, is pleased to announce our relocation to a new office. Our new Phoenix HQ office address is: 5227 North 7th Street, Phoenix, AZ 85014. Our new and larger space will allow us to better serve our clients, further grow and expand our team, and launch exciting new services, research and events. If you have any questions about our relocation, please feel free to contact us. We look forward to serving you at our greatly improved Phoenix HQ office.